Refunds for Cherry Bomb Members? 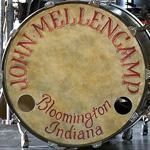 John Mellencamp Community > MELLENCAMP.COM ANNOUNCEMENTS > Ask Mellencamp.com > Refunds for Cherry Bomb Members? Just wondering if a refund will be offered to those that were unfortunate to pay into the fan club before the technical issues, and after which all fans were given the same access to the fan club as paying members? Re: Refunds for Cherry Bomb Members? PAID Members in good standing as of August 1st are going to get a $40 store voucher emailed to them in about the next week. Make sure you read the update posted on the home page of ClubCherryBomb.net that announced that. An email about this went out to the official mailinglist by accident last night, it was the start of the message we plan send out in a few days once we get all of the technical details done. Be on the look out for the email late this week. 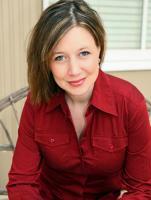 What's wrong with a refund? Or putting the money towards the purchase of tickets? Why must I "have" to make a purchase at the store? I'm happy to be getting a voucher for the store. Hmmm......freebie merch. Yep, I'm happy! Please read the front page of ClubCherryBomb.net for the full explanation and update. There will be no more PAID memberships and no more branding of "fan club". 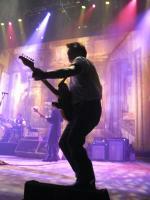 From now on presales will be free and for the members of this Mellencamp.com Community. category for Mellenheads transitioning from Cherry Bomb? The new site is really nice! Sorry to say EVERYONE has to start over with their posting count set at 0. This means everyone starts a Mellencamp Community Newbie. That title changes at 10 posts and many times on the way to 2000. Your stars increase too as you post more and more. New forum requires starting over with some of this stuff.